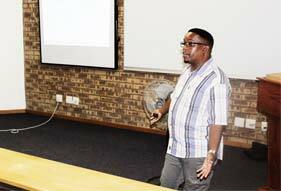 Mr Jan Rammese Tshabalala: OHS Officer, providing relevant information on health and safety at work. 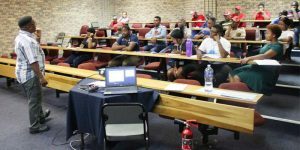 The Occupational Health and Safety (OHS) Department at the Vaal University of Technology Southern Gauteng Science and Technology Park (VUTSGSTP) conducted a health and safety induction training for all employees on 15, 17 and 24 January 2019. 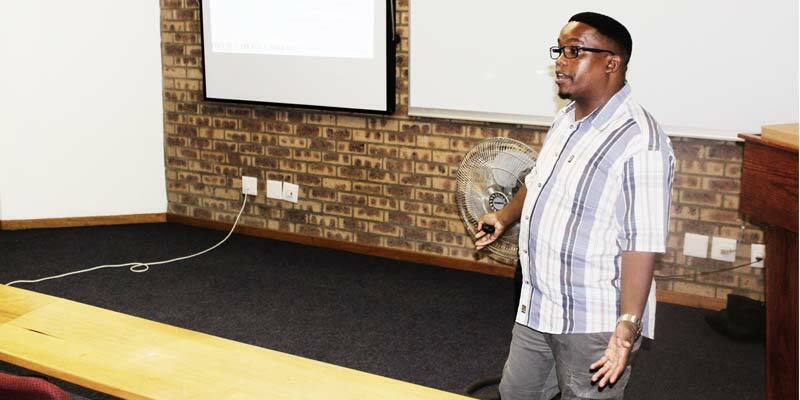 The sessions were facilitated by Mr Jan Rammese Tshabalala: OHS Officer and his aim was to provide information, training and supervision necessary to ensure health and safety at work. “This is a legal requirement as per the Occupational Health and Safety Act and it is compulsory for all employees, students and visitors to the campus and our residences. We had four sessions for employees, each lasted 30 to 40 minutes and they were required to attend only one of these sessions,” he said. In his induction he covered topics such as hazards and risks at the workplace, special and protective equipment which may require additional training, safe work practices, work health and safety legislation and emergency procedures. In conclusion he mentioned that, in the interest of health and safety and maintaining good housekeeping, staff and students should not litter, eat in the workshop or participate in horseplay. They should wear correct Personal Protective Equipment (PPE) when required, use designated smoking areas and obey all safety rules and signage.